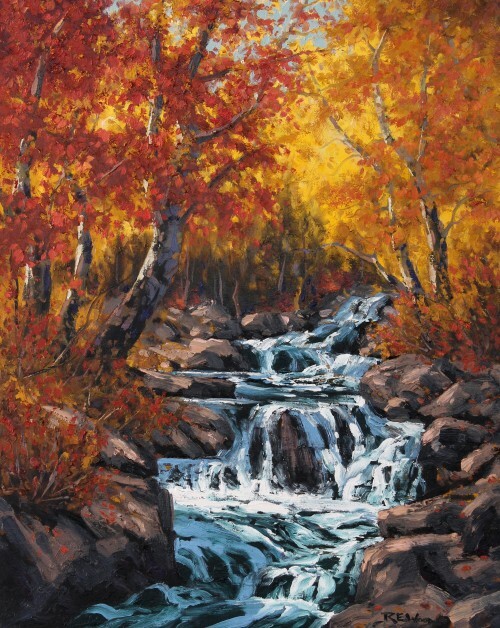 He is a third generation full time painter. His grandfather was Robert E. Wood and his father was Karl E. Wood. 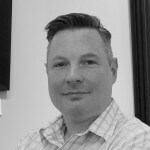 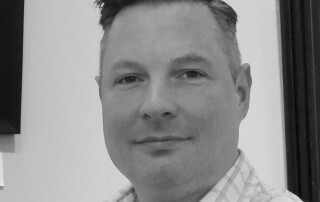 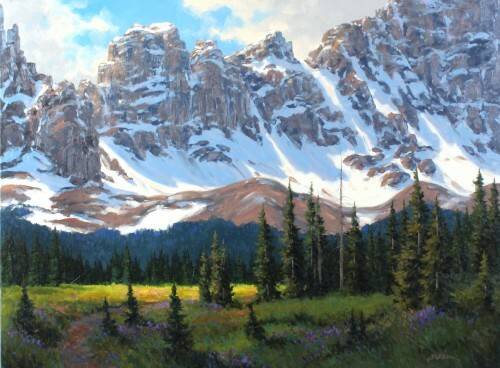 Since 1989, Robert E. Wood has been a professional artist. 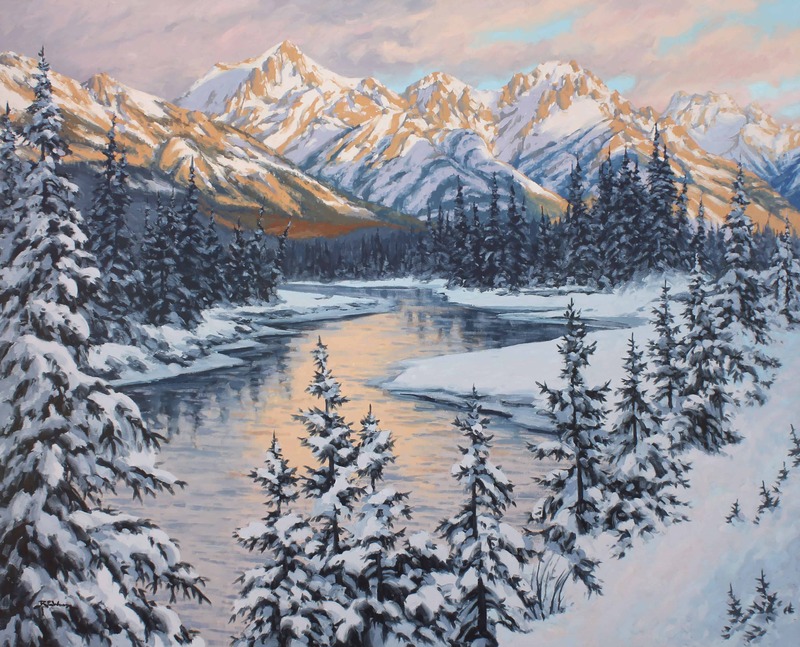 He extensively travels and explores his favourite regions of Alberta and British Columbia – these include the Kananaskis and Banff National Park regions of the Rockies, as well as the South Okanagan. 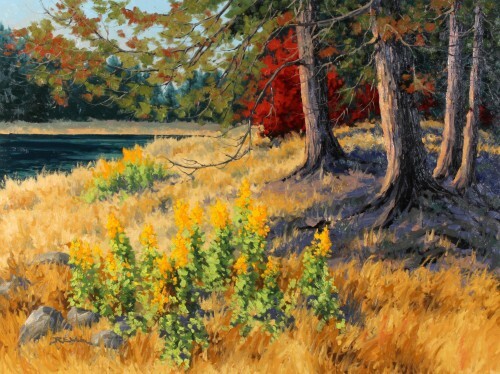 As well as, Plein Air, painting on site, Robert takes large numbers of photographs to use as reference material for his studio paintings. 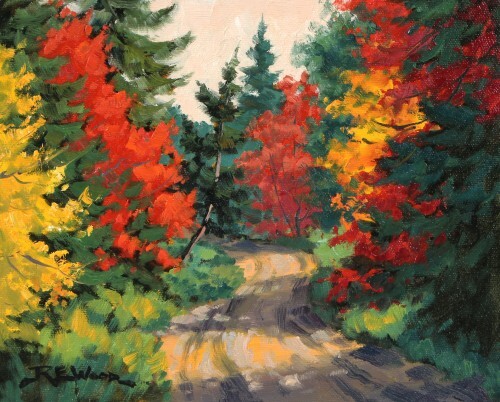 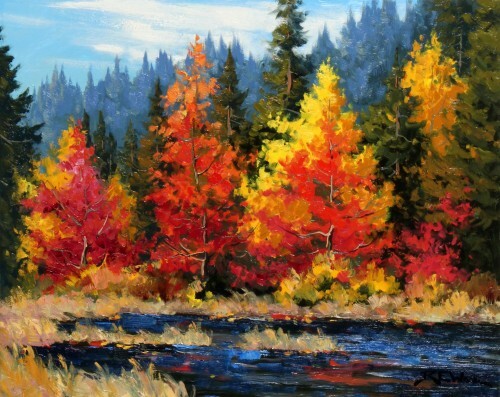 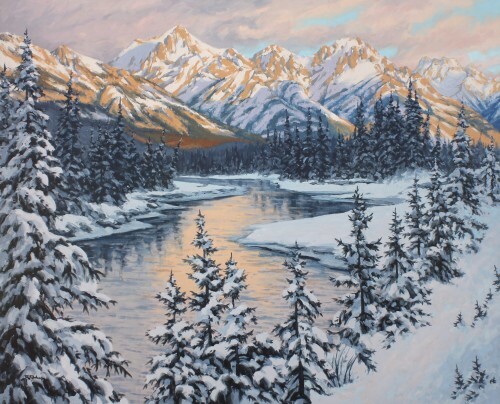 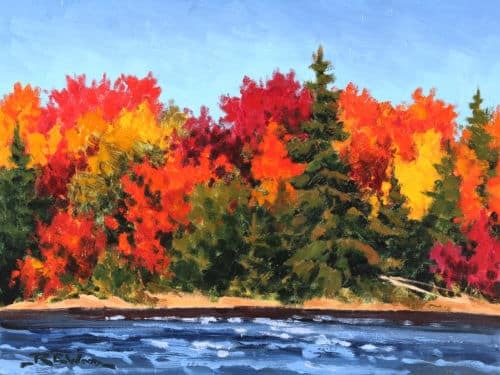 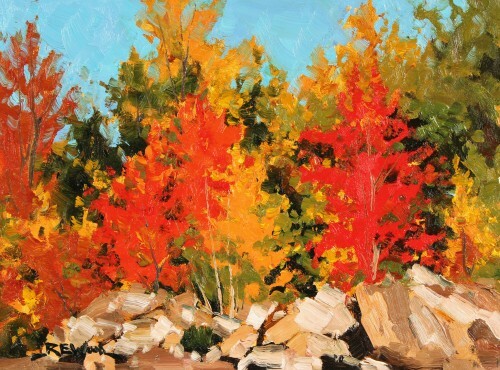 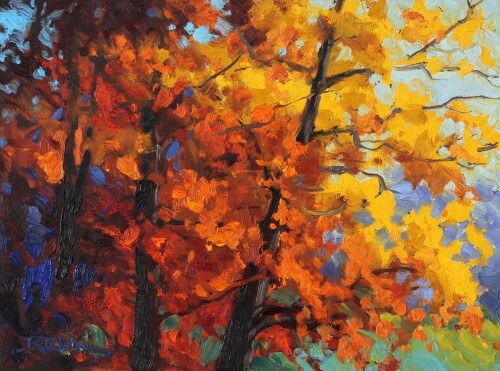 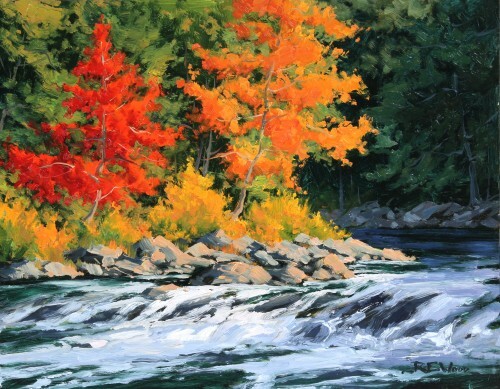 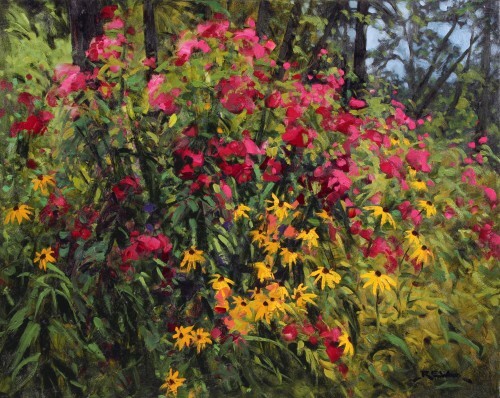 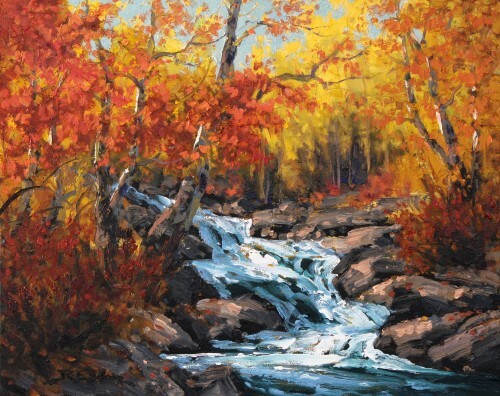 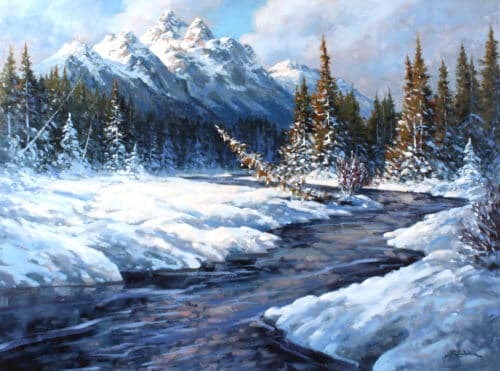 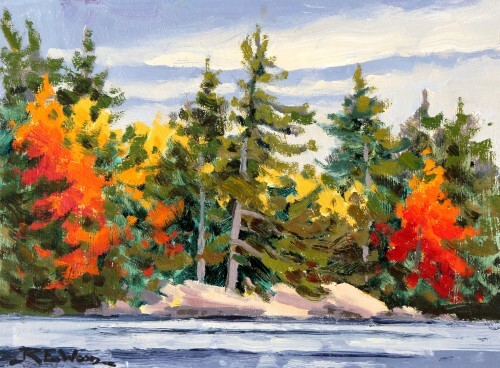 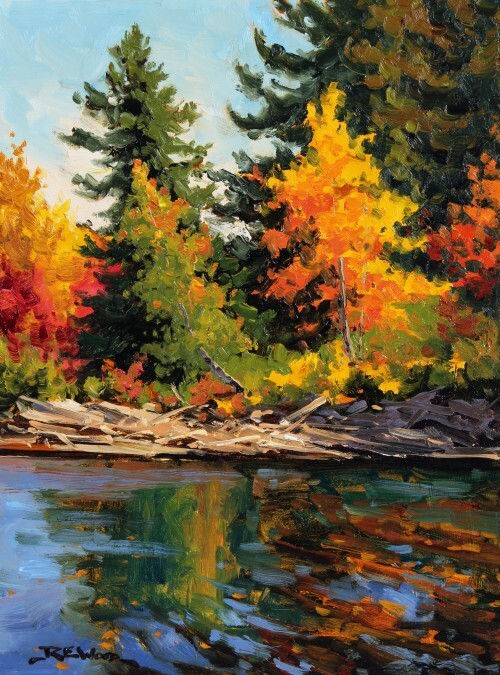 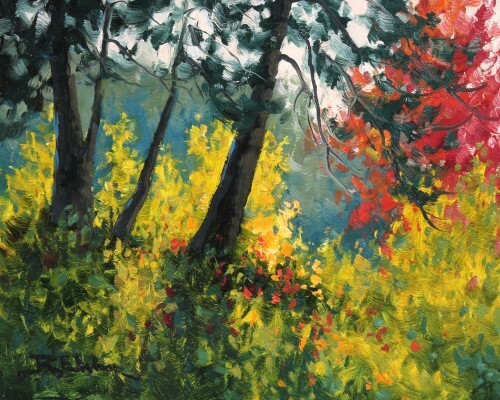 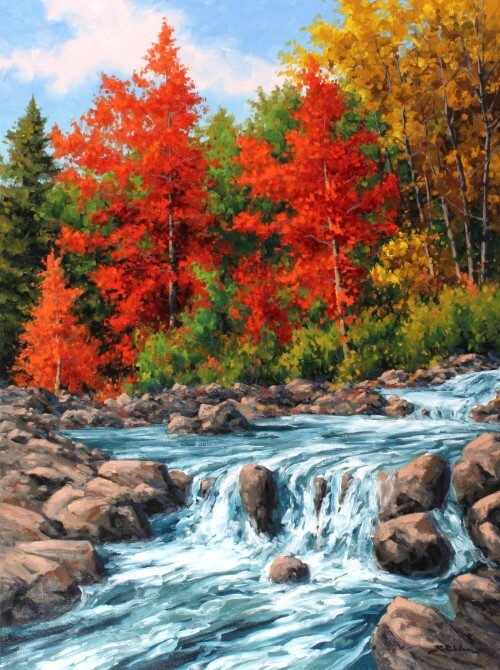 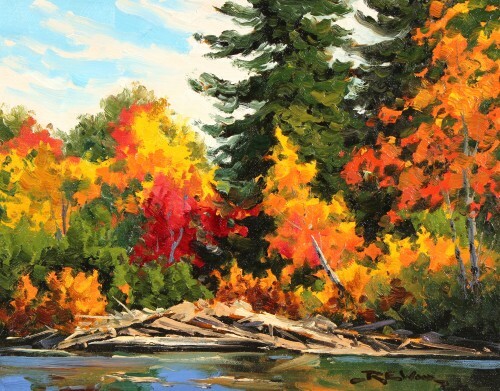 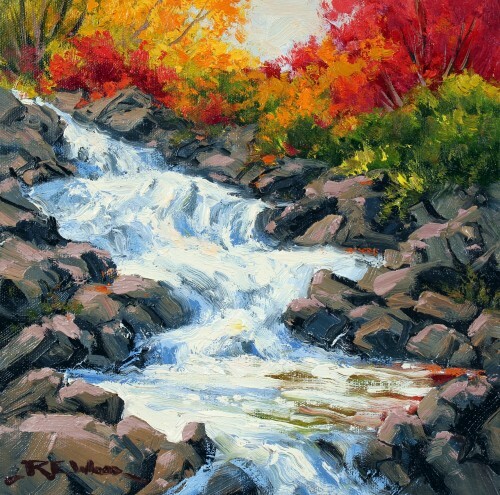 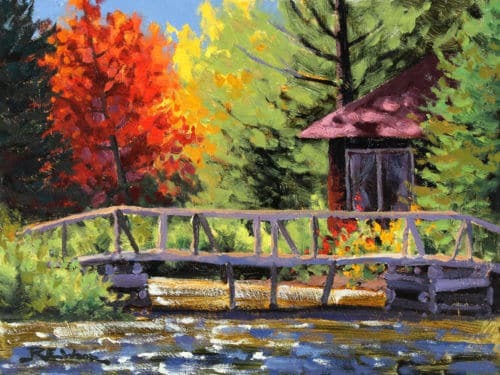 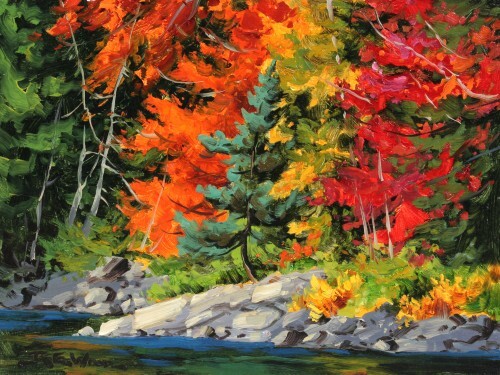 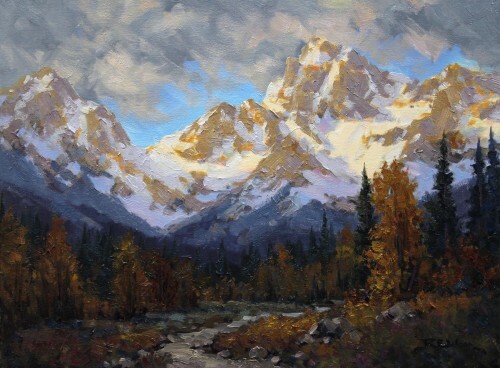 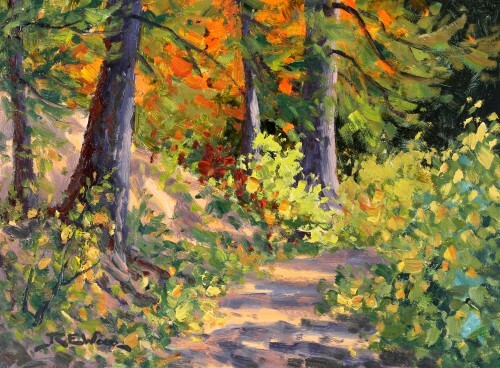 Primarily known for his Canadian landscapes, Robert is adept at portraying a wide variety of subject matter: the mountains, canyons, lakes, rivers and forests of the Rocky Mountains, sunsets, old cabins and barns of the West, the Okanagan, Europe, Mexico and other tropical settings, and a variety of still-life, floral and garden scenes. 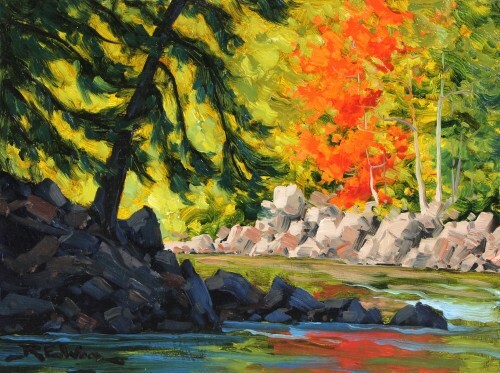 His paintings sing with colour and always depict scenes he is dramatically inspired by. 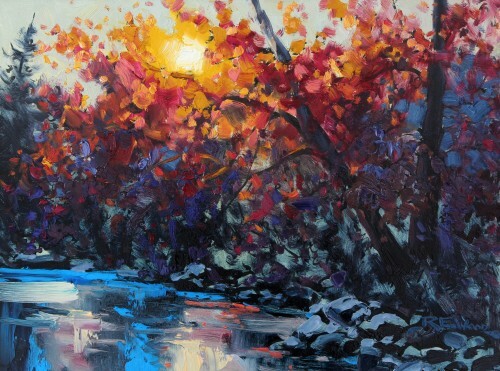 Robert Wood’s love of colour and light, and passion for conveying his vision of the world, is a never-ending source of inspiration, and he has come to see his task as almost a spiritual one, using oil as a medium to imbue his canvasses with beauty and positive energy, which then resonates with the viewer.